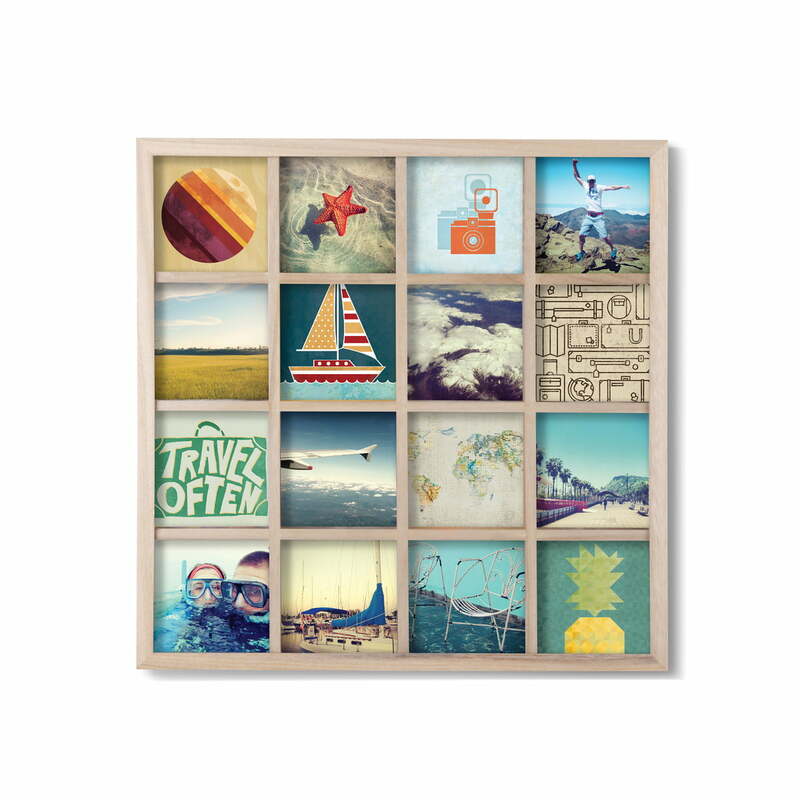 With the Gridart picture frame from Umbra the most beautiful photos can be presented like in a collage. Up to 16 pictures in the dimensions 10 x 10 cm can be arranged in the frame according to desire and mood. For example, the most successful photos from your last holiday or the best wedding photos will find a suitable place in it and can thus be viewed at a glance. The frame is designed by Sung wook Park. The Gridart picture frame is available in lacquered or natural wood and fits perfectly into any ambience. Gridart picture frame in nature from Umbra in single view. With the Gridart picture frame from Sung wook Park for Umbra the most beautiful photos can be presented like in a collage.